Yekaterinburg, the former city of Sverdlovsk, has 1.35 million inhabitants and lies on the Asian side of the Ural mountain range. 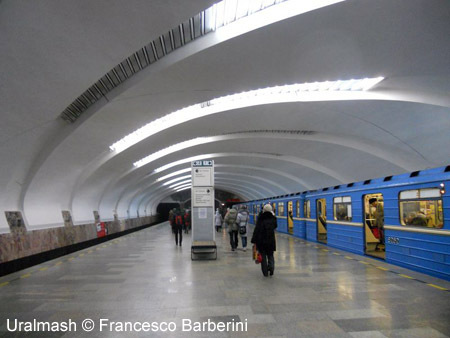 Preliminary design for the first metro line started in 1980, construction began in 1982. Line 1 runs from the industrial areas in the north towards the city centre and serves the railway station at Ural'skaya and, since 2012, the bus station at Chkalovskaya. Part of the route was excavated by "drill-and-blast" in very difficult hydrogeological conditions. All stations are underground and have 100 m long platforms for 5-car trains, although currently only 4-car trains are in service (total number of cars - 62). 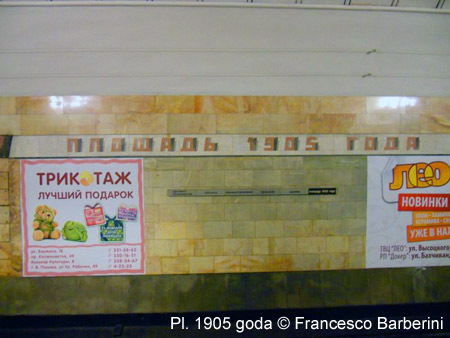 The first section of the line, from Prospekt Kosmonavtov to Mashinostroiteley opened in April 1991, a few months later it was extended to Ural'skaya and in 1994 to Ploshchad' 1905 goda in the city centre. 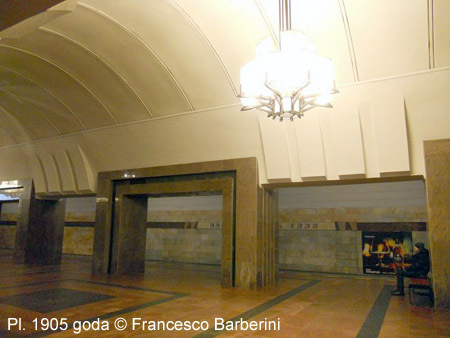 A further extension towards the south to Geologicheskaya finally opened in Dec 2002 after some years of delays. It has currently a length of 12.7 km with 9 stations (2012). 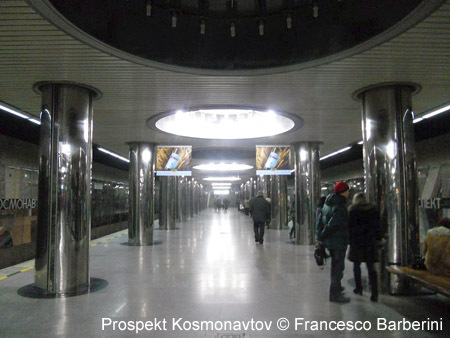 Bazhovskaya station will be finished at a later date. Line 1 is actually the first line of a planned 3-line network, with all three lines forming a typical Russian triangle in the city centre. But construction of these lines is not very likely in the near future.